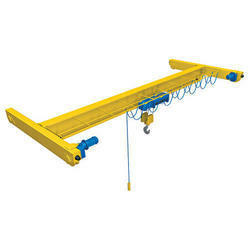 Experience from 2005, we are engaged in offering a superior quality range of material handling equipment and accessories. 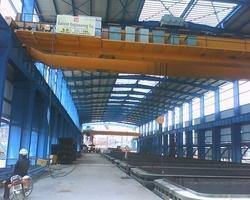 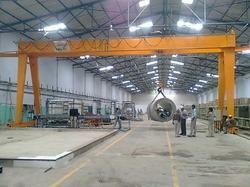 Our wide range of product includes EOT Crane, Goliath Cranes, Gantry Crane, Industrial Crane, and Industrial Hoist, etc. 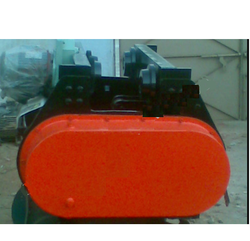 Our range of product finds application in engineering industry, foundries, paper mills, steel plants, power plant, automobile industry, cement industry, plywood industry, shipyard, railway yard, heavy fabrication unit, chemical industry, ceramic industry and food industry. 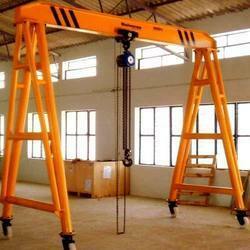 The range of product we offer is available in the market in both standards as well as the customized options. 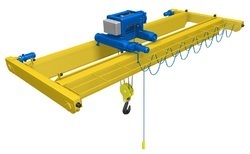 To deliver our clients a flawless range of EOT Cranes, Wire Rope Hoists and other material handling equipment and accessories, we use only the best quality raw material procured from the reputed companies like Crompton, Alstom, Siemens, Usha Martin, Tata, SAIL, and BBL, etc. 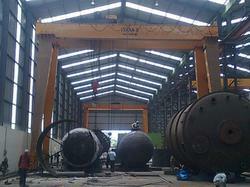 Further, we also have a well qualified and experienced team of quality inspectors which test our products on the parameters of grinder deflection & Electric hoist part and full load to avoid any discrepancy at the clients end. 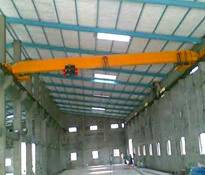 The high standards of quality we have been able to maintain have helped us to gain a strong foothold in the domestic as well as the international markets.